MIYAZAWA YOSHUA flies out to center field. F8. 1 out. SHIMADA Kairi flies out. P6. 2 out. YASUDA Hisanori grounds out. 5-3. 3 out. LI Cheng-En grounds out. Bunt. 1-4. Sacrifice. HONG to 2nd. 1 out. LI Kai-Wei grounds out. 4-3. HONG to 3rd. 2 out. KAO Yu-Chieh strikes out swinging. 3 out. 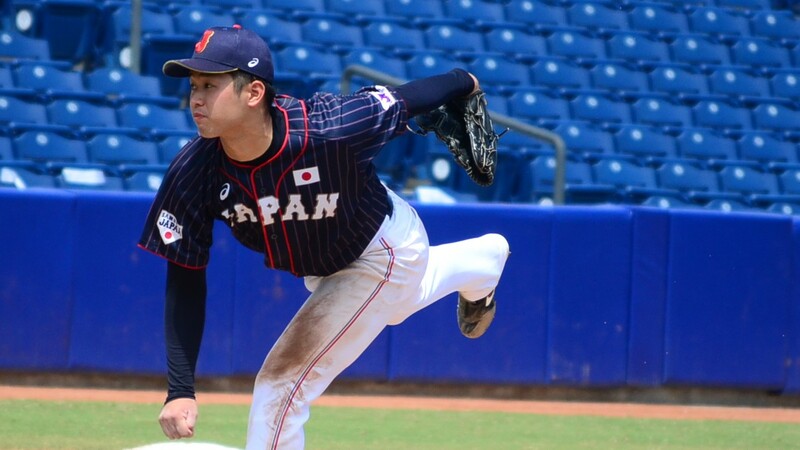 HORIUCHI Kengo strikes out looking. 2 out. NAKAYAMA Yuki doubles to deep right center. MATSUO Taiga singles. NAKAYAMA to 3rd. KISHISATO to 2nd. SHUTO Ukyo reaches on fielders choice. MATSUO out at 2nd 46. WANG Cheng-Shun strikes out looking. 1 out. CHANG Wen-Hsien strikes out swinging. 3 out. MIYAZAWA YOSHUA grounds out. 5-3. 1 out. SHIMADA to 2nd on balk. YASUDA Hisanori homers to deep right field. SHIMADA scores. 2 RBI. UCHIDA Yasuhito flies out to left field. F7. 2 out. 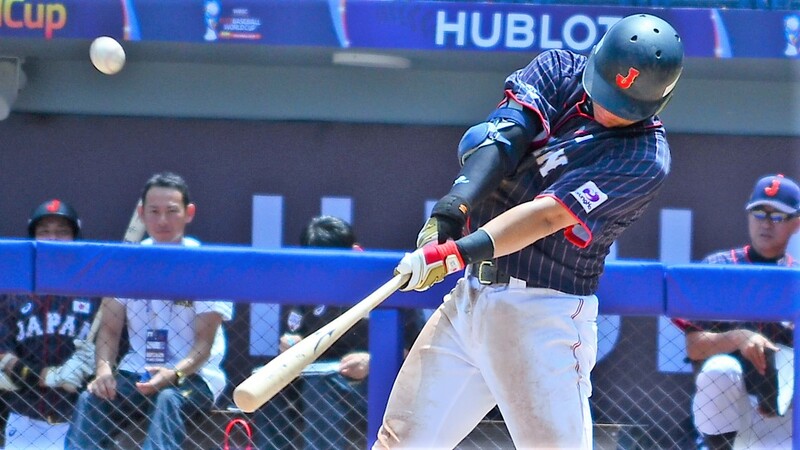 HORIUCHI Kengo grounds out. 3-1. 3 out. Ball 1. YEH out at 1st PO13. TAI Yun Chen grounds out. 6-3. 2 out. HONG Wei-Han doubles down RF line. LI Cheng-En strikes out looking. 3 out. NAKAYAMA Yuki grounds out. 1-3. 1 out. KISHISATO Ryosuke grounds out. 6-3. 2 out. MATSUO Taiga flies out foul. FF4. 3 out. LI Kai-Wei singles to right center. KAO Yu-Chieh hits into a double play. DP 63. LI out at 2nd 6. 2 out. WANG Cheng-Shun flies out to left field. F7. 3 out. SHUTO Ukyo strikes out looking. 1 out. MIYAZAWA YOSHUA strikes out swinging. 2 out. SHIMADA Kairi grounds out. 3U. 3 out. CHU Hsiang-Lin grounds out. 2-3. 1 out. CHANG Wen-Hsien strikes out swinging. 2 out. 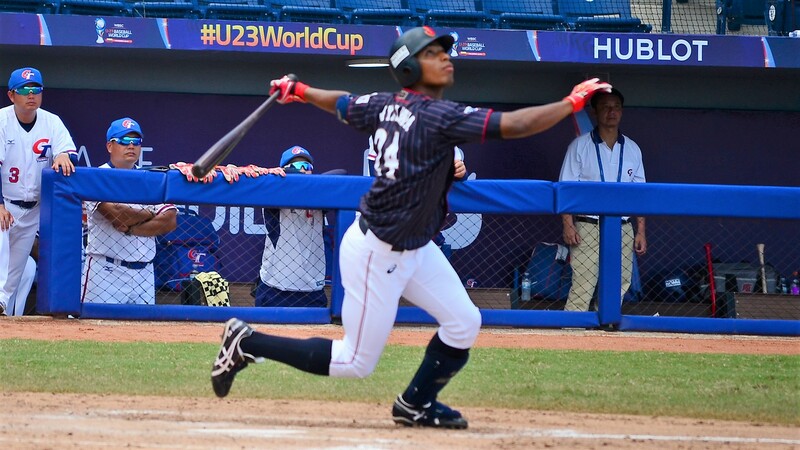 YEH Jun-Lin strikes out swinging. 3 out. YASUDA Hisanori singles through the right side. HORIUCHI Kengo flies out to left field. F7. 2 out. Swinging Strike 2. YASUDA to 2nd on wild pitch. NAKAYAMA Yuki flies out to right field. F9. 3 out. HONG Wei-Han flies out to center field. F8. 2 out. LI Cheng-En grounds out. 6-3. 3 out. 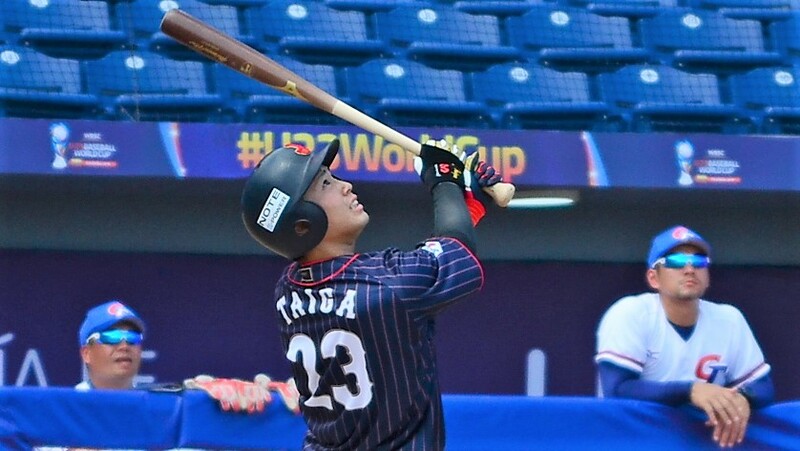 MATSUO Taiga triples to deep right field. SHUTO Ukyo grounds out. 1-3. 2 out. MIYAZAWA YOSHUA doubles to right field. MATSUO scores. 1 RBI. SHIMADA Kairi grounds out. 5-3. 3 out. KAO Yu-Chieh grounds out. 5-3. 2 out. WANG Cheng-Shun strikes out swinging. 3 out. YASUDA Hisanori flies out to center field. F8. 1 out. CHU Hsiang-Lin singles through the left side. 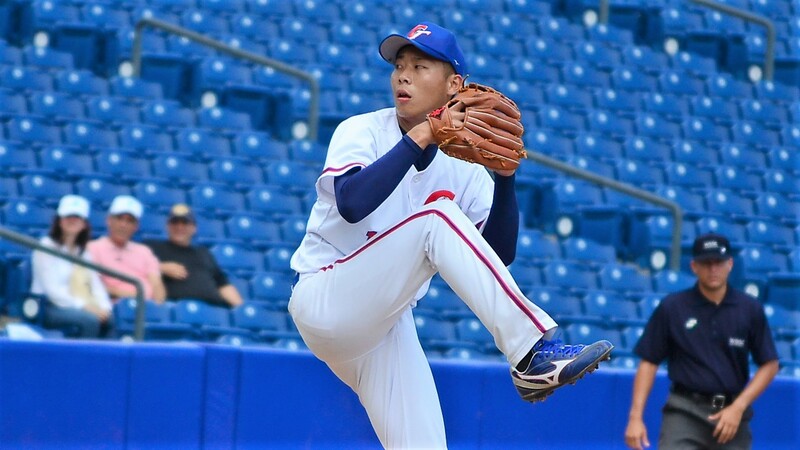 CHANG Wen-Hsien strikes out swinging. 1 out. CHEN Wei-Hung strikes out swinging. 2 out. TAI Yun Chen flies out to left field. F7. 3 out. HARASAWA Kento flies out to right field. F4. 1 out. 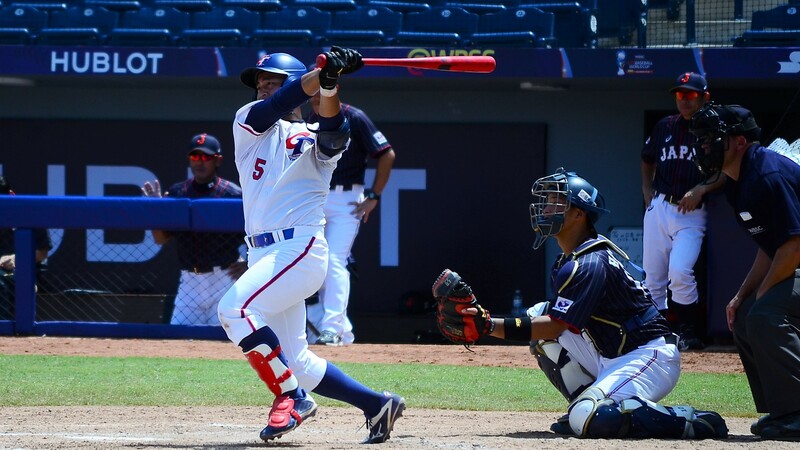 KISHISATO Ryosuke singles to left center. Ball 3. KISHISATO to 2nd on stolen base. SHUTO Ukyo flies out. F6. 2 out. HONG Wei-Han grounds out. 5-3. 1 out. 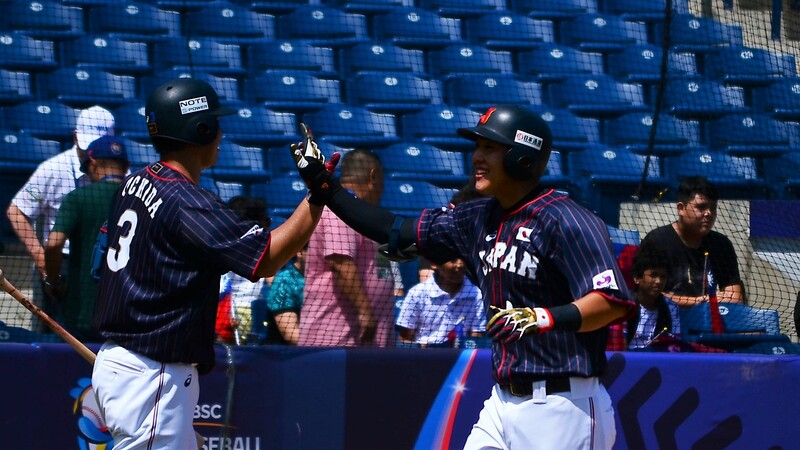 LI Cheng-En homers to deep left field. 1 RBI. KAO Yu-Chieh flies out. F6. 3 out.